Hi and welcome to Sun Shower Kennels and Finesse Cattery. Established in 2005, we strive to breed top quality dogs and cats for the Petz Kennel Club using petz 4. In addition to Sun Shower and Finesse, which are all breed prefixes, we also are home to Alegria German Shepherds, Massriya Egyptian Maus, and Armana Pharaoh Hounds, all of which can be found at their respective sites (though some aren't finished yet). I also have a separate site for my Australian Shepherds and Rough Collies. I strive to breed the best animals possible, and all of my pets compete in conformation, and can also occasionally be found competing in the premier, obedience/aptitude, and petz citizen rings. I don't breed very many litters, but when I do I strive for full pedigrees with champion titled parents. I also occasionally like to hex toys for petz, which can be found on the downloads page. Unfortunately, a good amount of petz are currently lost to an external hard drive failure, but I have still included them in my kennel stats as I did show them and am still proud of them. They will not, however, be featured on the site as I no longer have their files. They can still be found under my retired petz kennel pages on the PKC main site. In addition to hexing and showing in the PKC, I'm also a member of RKC and PCG and my non PKC petz can be found here as well. I don't have very many but they're all very well loved and I'm very grateful to everyone who allowed me to adopt from them. My hex archive can be seen here under the "Other" tab. 11/25/13: Updated my links and added a bunch of new sites. If you wanna be listed just PM me your link! 10/13/13: Added a few more pics to the gallery. Also added three new toyz, currently for P4 only. 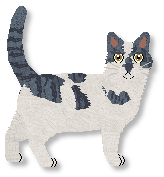 Just added links to Touchstone and Mogget as well. 9/22/13: Added a ton of show results so everyone's fully updated now. Yay! I also added all of my August/September new PKC petz, though I still have a few more to add that I've gotten since then. I still have to add all my new non-PKC petz and update my archive but I'll do that later. Whew, lots of updates! 8/17/13: Added the results from Rebirth Catz #10, Supernova and the Semi-Cobby Premier #2 as well as a ton of new petz. 8/12/13: Put a set of GSD toys up for download, stay tuned for a Doberman set! 8/11/13: Added the results from Beaverdam #3. 8/10/13: Added a few new toyz as well as a Toy Archive page for anyone interested in seeing non downloadable toyz I've hexed. I also added a playscene too! 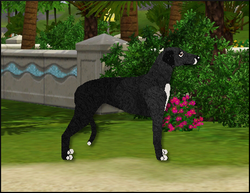 8/03/13: Working through all my August hexes, just added 2 Borzois. 7/28/13: Woops, realized that a couple of my beaucerons were missing pictures. I just went through and fixed it. I also added a few litter reservations so go check them out and PM me the adoption forms if you're interested. 7/25/13: The results of Cloonlara #32 are in, and a couple of my pets took group wins, and Dacey took W3! Also got two new champs out of this show (though one is an Aussie and can be found here). 7/20/13: Added the results of Petz Island #61. Sumati took RW, Chantrea took W3 and we have 7 new champions! 7/19/13: Added a few new petz: Molli the English Springer, two PKC companion dogs and two bred cats. 7/16/13: Added the results of Carpe Diem #41. We got several group winners, Körfez took W2 and we have 11 new champions! 7/15/13: Yay, finally finished my site! Everything should be fine but if you notice broken links, misspellings, or anything else that's wrong please let me know! And with the results of Filigree Catz #25 being official, I now have 1002 PKC champions!! Not sure what I'll do to celebrate, but I'll at least breed a few litters or something, so stay tuned!